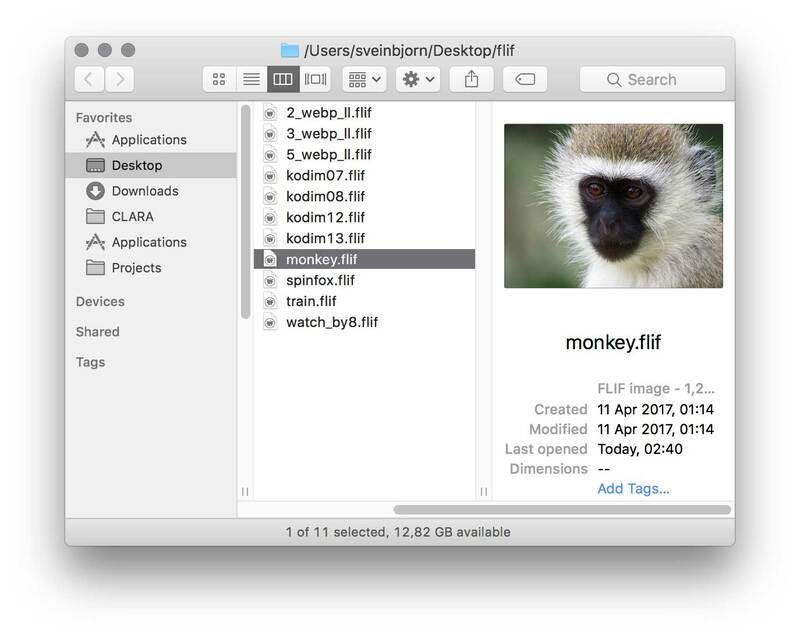 Phew is an open-source FLIF image viewer and QuickLook plugin for macOS. The Free Lossless Image Format or FLIF is a novel lossless image format which outperforms PNG, lossless WebP, lossless BPG, lossless JPEG2000, and lossless JPEG XR in terms of compression ratio. 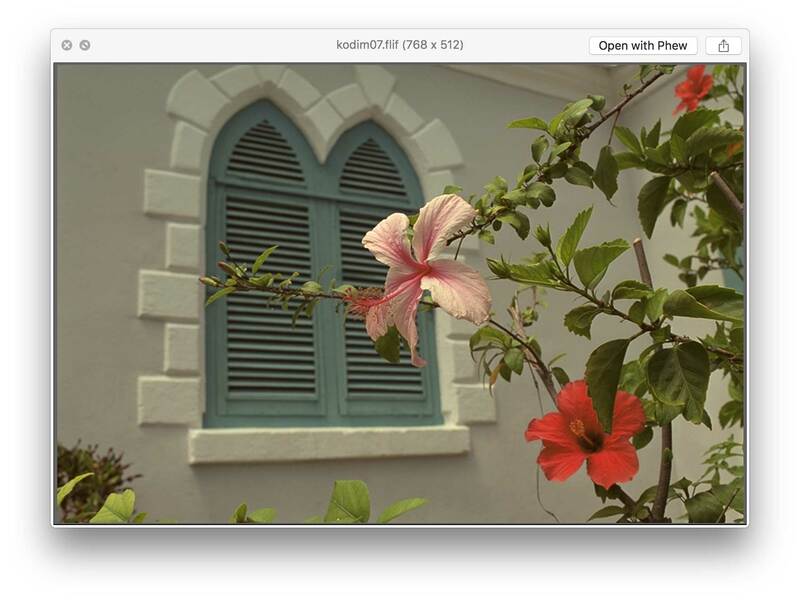 Phew can open and display FLIF images, and can export them to PNG, TIFF, BMP or as raw pixel data. 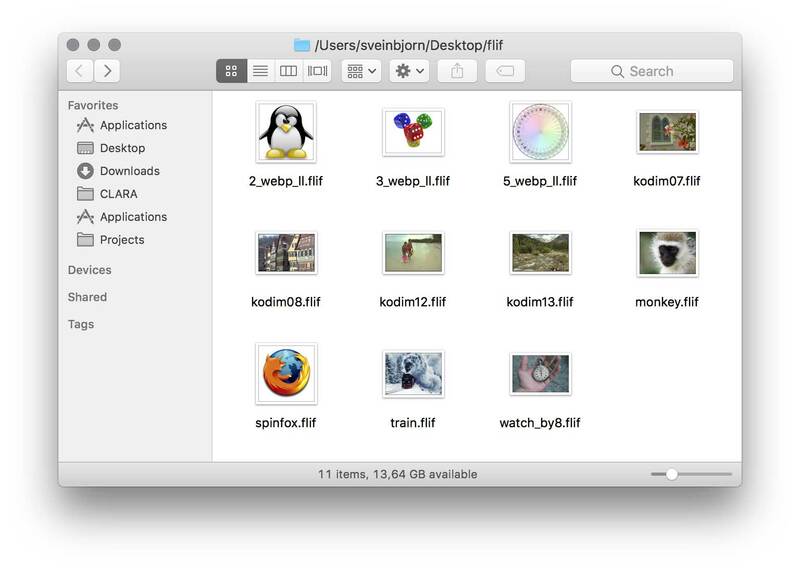 If the accompanying QuickLook Plug-In is installed, FLIF images show thumbnails and previews in the Finder and Spotlight just like regular images. 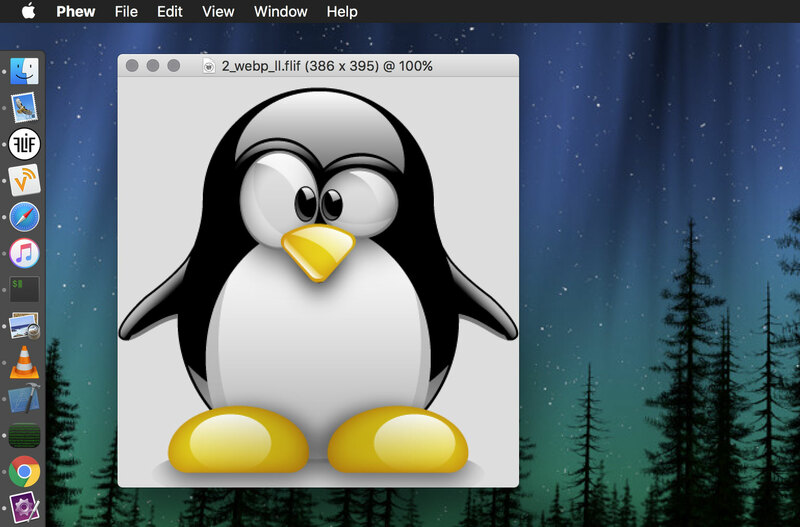 Animated FLIF images are currently not supported.